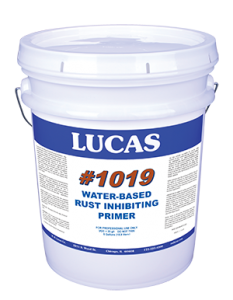 Water-Based is a 100% acrylic corrosion inhibiting primer intended for the preparation of rusty metal roofs and walls prior to installation of Lucas acrylic roof and wall coatings. Its light yellow color changes to a darker amber hue as the coating dries. This allows for visual confirmation of the coating’s level of cure and readiness for application of the top coatings.